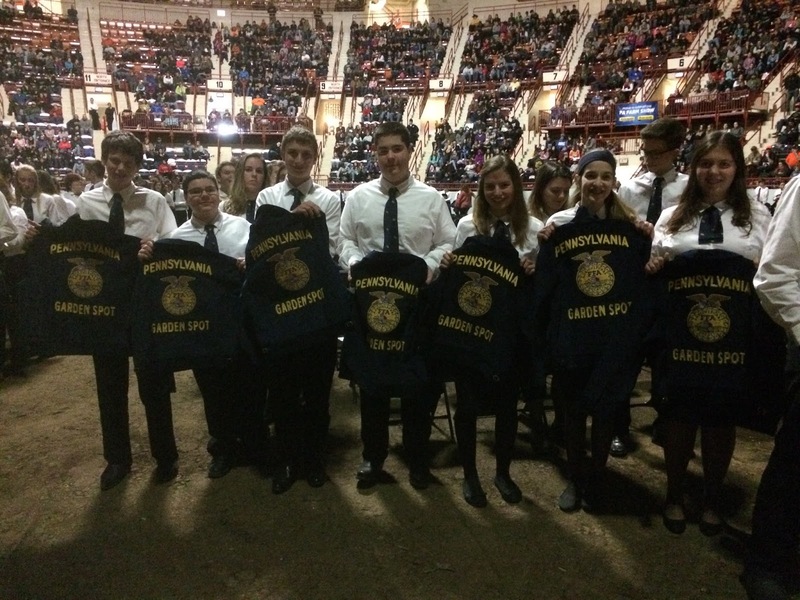 Pennsylvania FFA members from across the state were honored on January 9 during the 88th Mid-Winter Convention at the Farm show in Harrisburg PA. 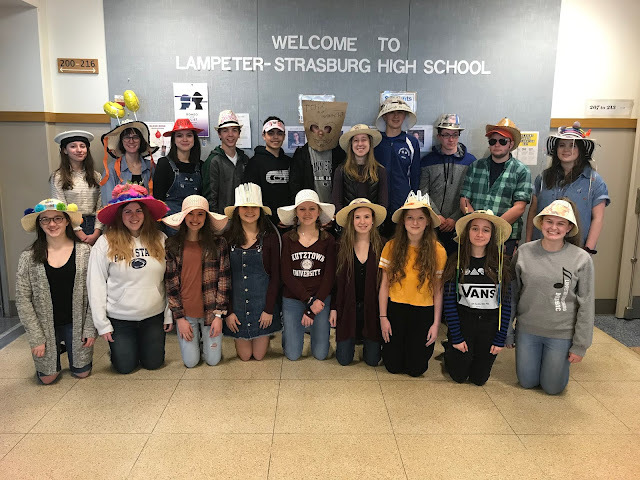 The Keynote speakers included: Governor Tom Wolf, Secretary of Agriculture Russell Redding, Secretary of Education Pedro Rivera and a Representative from the New Holland Agriculture. FFA members received the Keystone degree which is the highest state degree a member can earn. 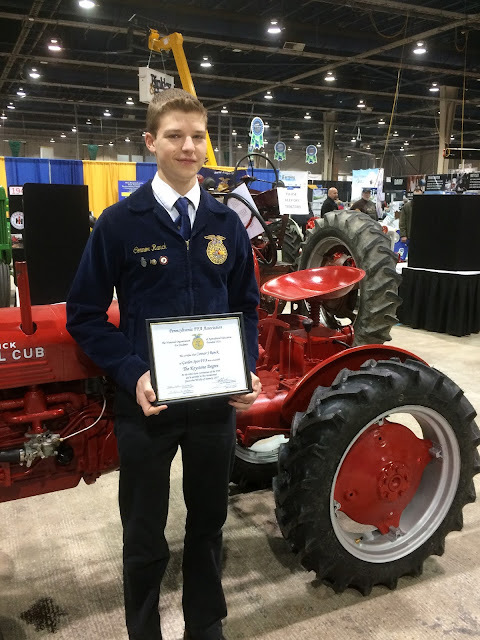 The 357 Keystone degree recipients included one of our own; Garden Spot FFA chapter President Connor Ranck. Keystone Degree recipient: Connor Ranck. The requirements to receive this degree include at least 25 hours of community service, earned and productively invested $1,000 or by putting 300 hours into your Supervised Agricultural Experience (SAE), as well as various other things. Ranck has had two SAE’s. He has been showing dairy beef for three years and goats for six. He currently serves as the Garden Spot FFA chapter president and was last years treasurer. First year members also received their FFA jacket after writing a short essay and submitting it to the Pennsylvania FFA Alumni Association. Right to left: Cameron Webb, Jessica Herr, Jared Risser, Roddie Rice, Tobias Leaman, Danae Ranck, Stephanie Mays. FFA jacket recipients right to left:Tobias Leaman, Cameron Webb, Jared Risser, Roddie Rice, Danae Ranck, Jessica Herr, Stephanie Mays. 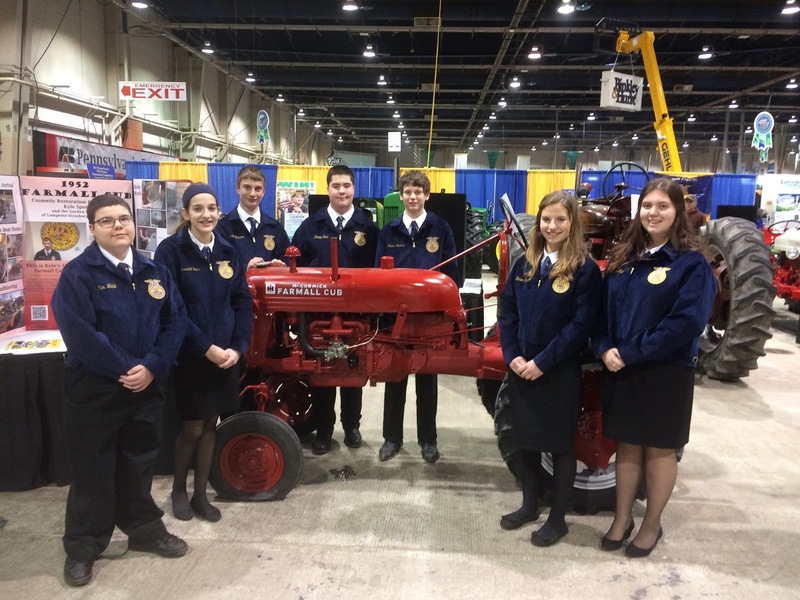 Garden Spot FFA Vice President Kyle Spotts entered a 1952 Farmall Cub in the tractor restoration competition. He spent time in school during study halls this fall restoring it; having over 60 hours working on the Cub. Requirements for the competition include: a pre-1960’s tractor, before and after pictures, records on work done as well as expenses, and creating a video about the process. 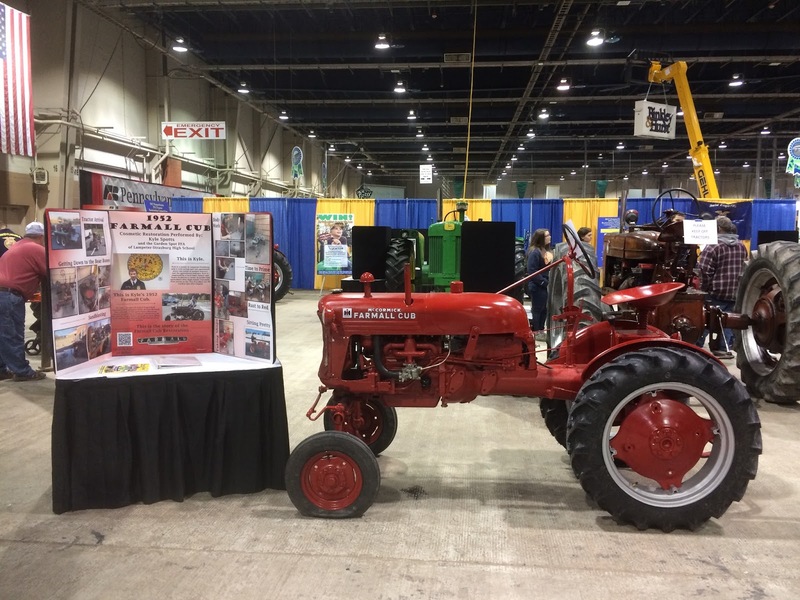 Spotts presented a short presentation about his experiences restoring the tractor; discussing challenges he encountered and successes he had. After. Farmall Cub at the Farm Show. You can read more about Spotts tractor restoration here.